How’s this for a twist … M. Night Shyamalan‘s daughter CAN SING!!! Saleka Shyamalan put her pipes on display at the Philadelphia 76ers game Tuesday night — belting out a pretty impressive rendition of the National Anthem. By the way, it happened to be “M. 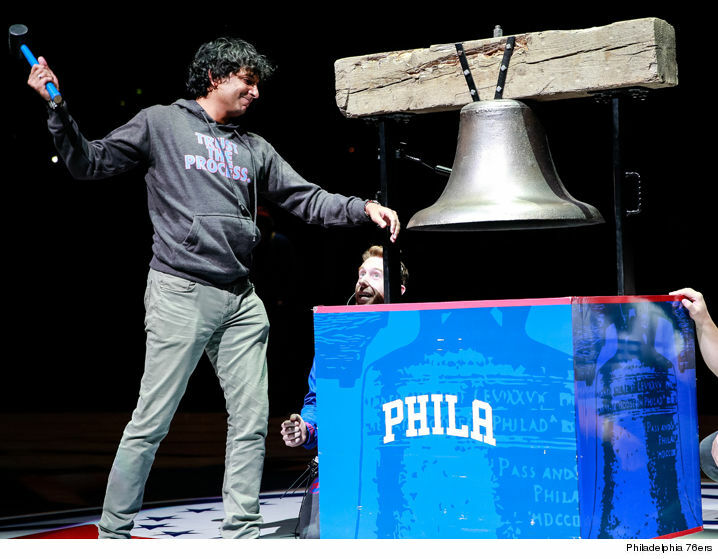 Night Shyamalan Night” — honoring the director who happens to be a huge Philly fan. He even got to ring the team’s ceremonial bell! Oh … and get this — it was also $1 DOLLAR PRETZEL NIGHT AT THE ARENA!! WHAT A NIGHT FOR 76ERS BASKETBALL!! !